Born and raised in rural Kenya, Ndoti had never been able to attend school, and had very little hope of ever doing so. She watched her brother grow up outside of school, and it seemed that this would be her future as well. Now that she has a chance to attend school, her future is will be different. 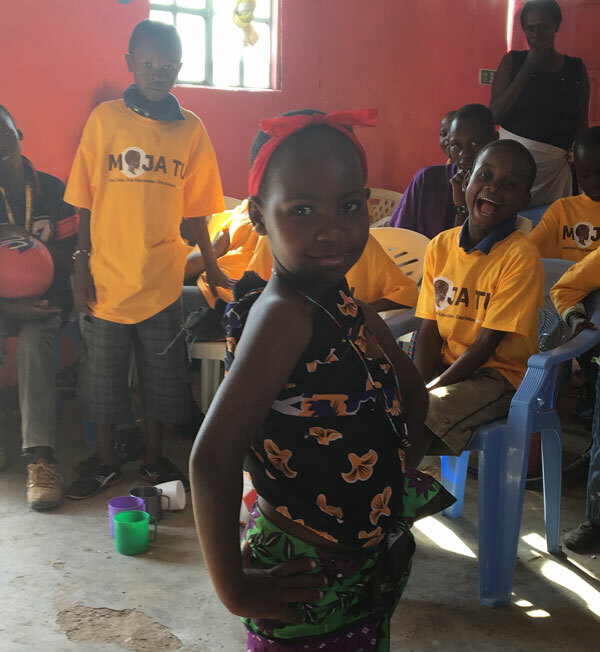 Ndoti is enjoying going to school and exploring all of her potential. She has blossomed into a confident, fearless young girl, with a knack for expressing herself to anyone. Having perfected her modeling skills, she loves the support her peers provide when she is up on the podium. Ndoti has shown commendable character growth and her sense of social responsibility will open many doors for her. We thank the Moja Tu community for being such a transformative influence on Ndoti. The assurance that somebody cares for her wellbeing keeps her focused on school and creates a sense of purpose for the life ahead of her.